Overwatch League’s minor league, Contenders, kicked off with a bang over the weekend. Also, karaoke. Overwatch Contenders tournaments will be running for the next couple months in seven regions, one of which is Korea. As part of an official segment showcasing the competitors, two players from a team called Foxes belted a stirring rendition of “Love Is An Open Door” from Frozen. This is not the first time karaoke has made an appearance in Korea’s pro Overwatch scene. 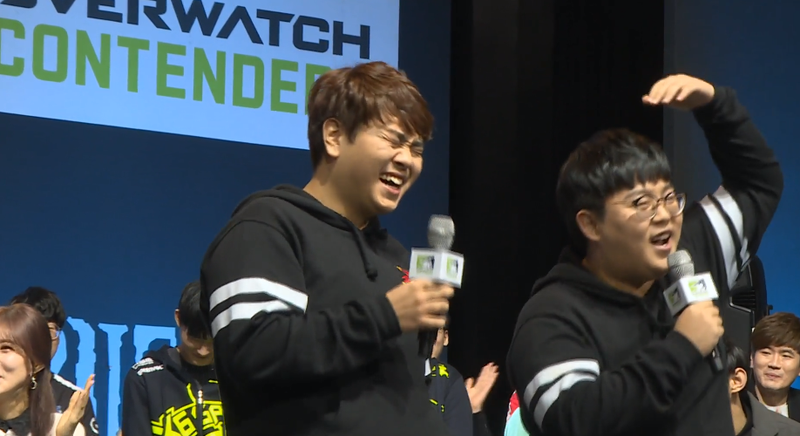 During the days of OGN’s APEX tournament—which produced many of the current top players in OWL—there were entire singing contests, and they owned. Some Overwatch pros can really sing! Like, seriously. I go to karaoke at least once a week (it’s a problem, I know; I’m not proud), and I can’t even push my pipes like that. 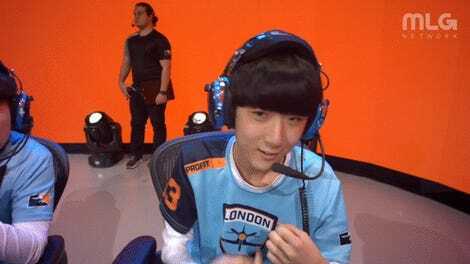 Singing, however, isn’t everybody’s jam, as evidenced by then-Lunatic Hai (and now Philadelphia Fusion University) player Seung-Joon “WhoRU” Lee’s performance. He did his best, and his best wasn’t bad! Afterward, however, he meekly told the competition host that he “never” wanted to sing again. Back to the present. 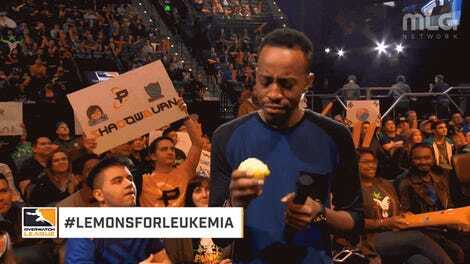 Thus far, Overwatch League proper has had some fun pre-match player walk-ins (I’m looking at you, Florida Mayhem) and put on some goofy skits as part of its weekly Watchpoint video series, but there hasn’t been any karaoke. If nothing else, it’s cool to see that different Contenders regions, like Korea, get to bring their own flavor to the production, and a karaoke send-up to the dearly departed APEX tournament is icing on the cake.